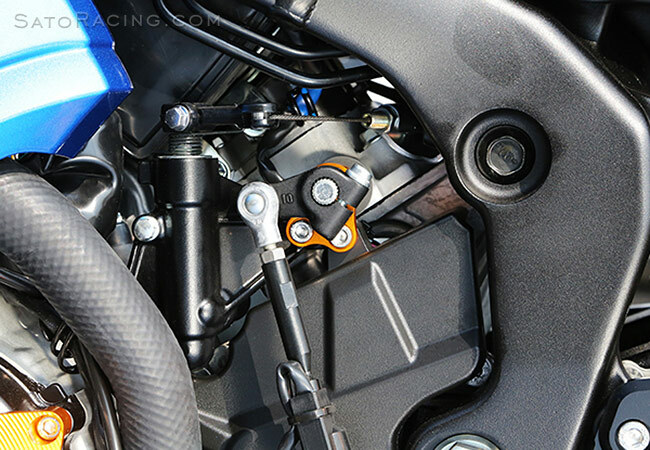 Our 'Race Concept' Rear Sets for 2017- Suzuki GSX-R1000/R are a track-tested design directly based on prototype sets originally developed for various race teams in Japan, including entries in the 2017 Suzuka 8 Hours and other endurance races. 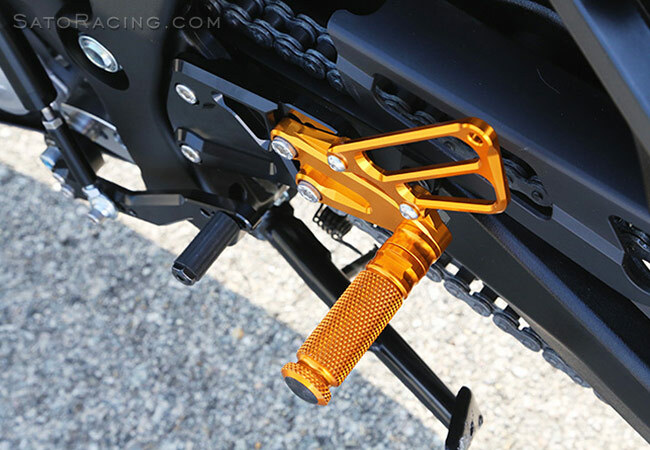 These race-spec Rear Sets are CNC-machined from high strength billet aluminum and anodized in your choice of Black with Gold accents, or Gold with Black base plates and shift pedal assembly. 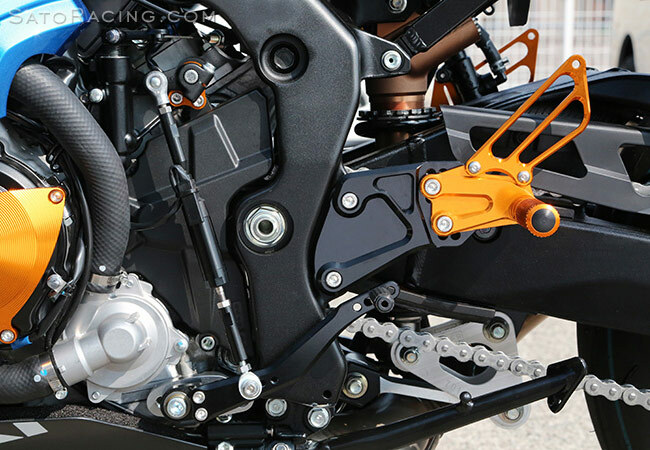 Modular step plate design lets you choose from 8 adjustable foot peg positions in an aggressive range that brings your feet significantly higher up and further back compared to stock, to help you achieve the kind of riding position best-suited to the fast straights and steep lean angles you may encounter on the track. 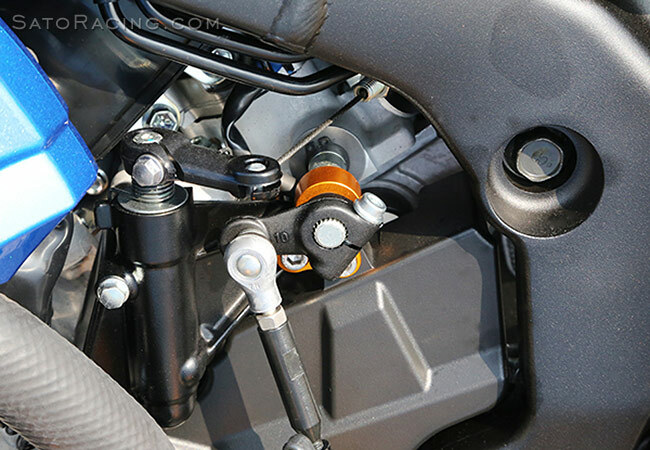 These Rear Sets can be set up for either stock shift pattern or reverse (GP style) shift pattern. NOTE: Not for recommended street use. Not compatible with the stock brake light switch. Not designed for use with ABS. 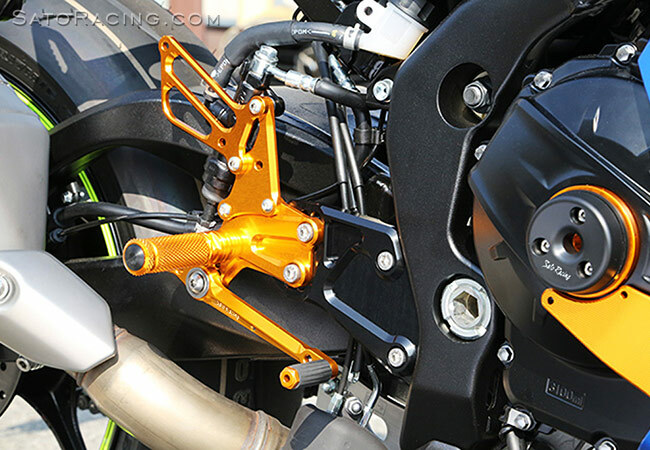 For more 'street'-friendly Rear Sets, see our standard GSX-R1000/R Rear Sets. The pedals utilize double stainless bearings for smooth, precise movement and a solid feel. Pedal Tip styles, such as folding-style Pedal Tips, are available as options. More Details. 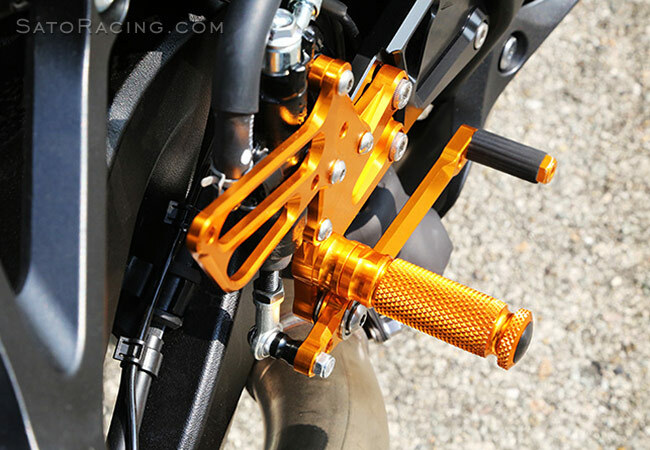 The modular racing-style Base Plate design provides 8 adjustable positions. 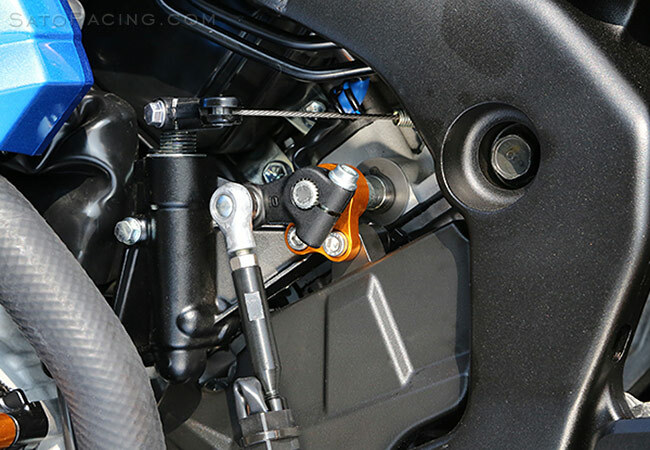 SATO RACING Shift Spindle Holder for 2017 Suzuki GSX-R1000/R reinforces the stock shift spindle, adding strength and rigidity to the spindle and reducing lateral movement and excessive play during shifting. Works great with Sato Racing Rear Sets. Gold anodized billet aluminum with a Teflon-coated bushing.